Oh boy, you wouldn’t believe the rumors circulating today about the up and coming Galaxy S5 smartphone by Samsung due out soon… With the seemingly never-ending flow of speculation and rumors about the device, it’s no wonder no one really knows what is going on. Today’s rumors concern the security features supposed to be available on the Galaxy S5 including the fingerprint sensor that the Nexus 5 is getting and that the iPhone already has. Apparently, Samsung is unsure as to whether they want to add the technology to the newest iteration of the phone. The security is allegedly the most promising to date, but it still has its flaws. 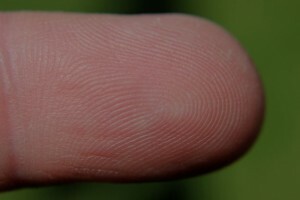 The biggest question here is what will Samsung offer for security if not the fingerprint sensor? The password protected locking device is secure, but it is more easily cracked than the fingerprint sensor, and you don’t even have to get your hands dirty to do it as you do to hack the fingerprint sensor. According to unofficial executive statements, the Galaxy S5 will instead feature the latest in biometrics technology in addition to the usual password unlocking slider features. In fact, within the firmware code, according to the rumors, the biometrics scan is a reality, although Samsung is not developing it on its own. Nevertheless, no matter what type of sensor the Galaxy S5 gets, the same rumors also say that Samsung will contract with Korean based Crucialtec to provide the technology. According to most reports, Crucialtec is not nearly as secure as Authentic, the company providing iPhone’s sensors. Crucialtec makes fingerprint sensors like the ones found on laptops. You know those sensors – they are the sensors that aren’t very secure because they’ve been shown to allow people with mismatched fingerprints login to them. In fact, the unofficial statements say that at this point, it could take more than a year for Samsung to get a reliable, stable sensor technology into its phones from Crucialtec. In any case, with or without the fingerprint sensor technology on the Galaxy S5, we still can’t wait to see the confirmed features and specifications made into reality – and with any luck (although doubtful at this point) it’ll happen right before Christmas. But… we want a fingerprint sensor.